This entry was posted on Friday, April 6th, 2018 at 12:00 pm and is filed under Weather. You can follow any responses to this entry through the RSS 2.0 feed. Both comments and pings are currently closed. Gusts are now beginning here in the West Hills. Plus you can tell by the lack of activity on the blog. If this were a real wind event this blog would be lighting up like a PBX phone system. Barely a breeze and the barometer is rising. Windstorm canceled it looks like. Thanks NWS for jinxing it. oh, and sure feels like the tropiocs too….erg. We just went from high win watch ti, high wind warning . but just incase, we haethe generator on stand by. That said, I’m also the kind of person who tries reverse psychology on nature. So take EVERYthing I say with a grain of salt. Just wanted to let you know that buoy 46036 has a pressure of 989mb and the storm is SW of the buoy. According to the Windy website, the pressure of the low is now 975mb. Not sure how accurate that is tho. Buoys have rapid pressure falls, but the ones I found stopped reporting at 4:50. Wonder why? 8:10 our time, that is. South winds are kicking up for some reason? It should be east, but my station says south. What a conundrum. Can someone explain? Were exactly do you live or approximately? I live up in the West Hills, close to Sylvan. Well, it’s practically customary for something to go down every time we have a significant weather event, isn’t it? I don’t think we’ve met, I’m a long time lurker who finally decided to join the blog. Nice to meet you! 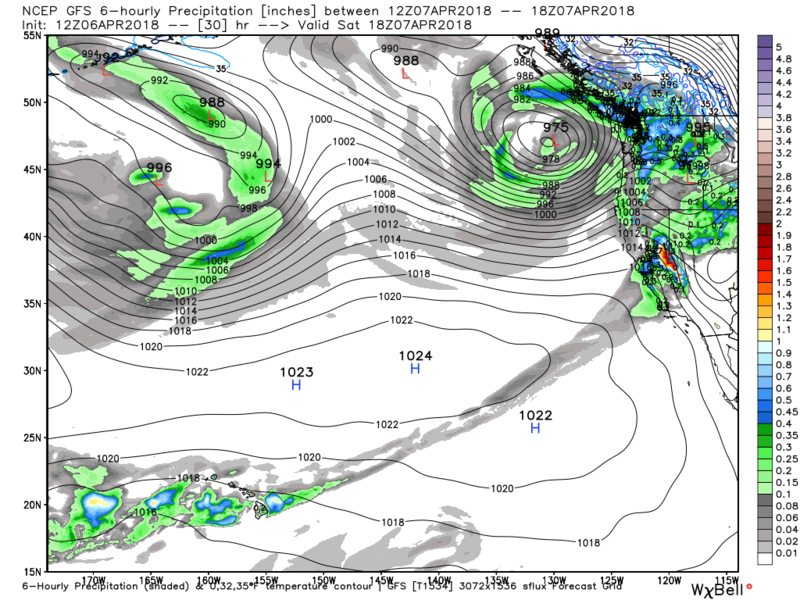 People out on the Weather Forums think the Willamette Valley will get hit tomorrow. So does the NWS, Mark, and Rod. The HRRR and HRRRX looking so much better. Cool stuff. I think gusts 40-55 here and down the valley. HRRR and HRRRX look much better. So do the ensemble models (ever slightly so). I also noticed something else. Did you look at the precipitation? The way it looks, it looks like we could see thunderstorms. At least that’s what I think. You can pretty much tell if your on the receiving end of the threat by comparing the activity on The Weather Forums dot com and here. If the threat is up more towards Seattle that forum lights up like crazy if not then they talk about gardening stuff and OT posts. If the threat is aimed down here then this blog starts lighting up or is dead. I’m betting the system moves further west or north and ends up being nothing more than a breezy rain storm. NWS and forecasters seem pretty sure and the storm is strengthening as planned. Not much change in models either. 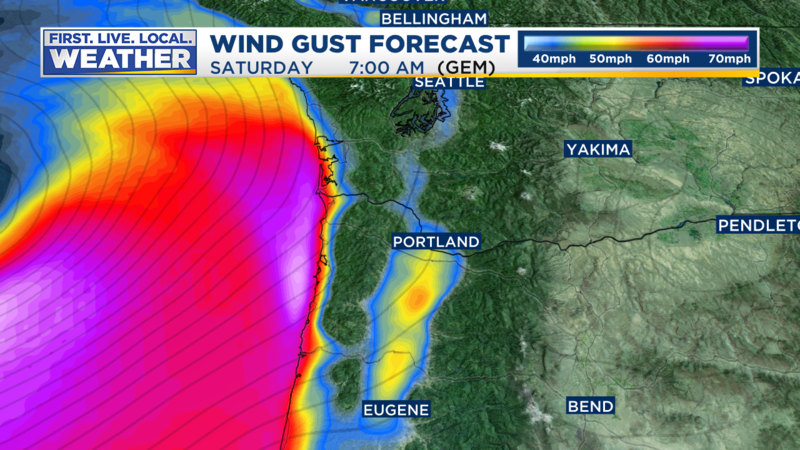 I think 40-55, or at least 35-50 will pan out tomorrow, particularly in Salem and Corvallis, as well as the West Hills. I think ocpaul is right. Mark, I wasn’t there when the warning was issued, but I’m guessing the NWS office lowered the criteria due to concern of new blossoms/leaves knocking more trees and branches down than usual. Plus, as you mentioned earlier, trees haven’t really been tested yet this season. Shawn, are you from the NWS? Because if so that’s super cool! That’s great. You guys are honestly so great and knowledgable about the smallest intricacies of our weather. Anyways, I noticed that the warning was changed to include gusts of 55 later today and into Sunday. Does that mean the whole night? Bufkit Warehouse shows that model minimum average is 45 mph and maximum is 55, so 40-55 seems to be still good. I don’t think models will flip too much. What does everyone else think? I agree… this track is pretty close to what I had in mind when we put out the initial special weather statement Tue night. Maybe juuust a little bit further offshore. I think Mark is pretty spot on when he says 35-50 for the Valley. I do think there will be a couple overachievers though. K, sorry I haven’t been online for a few hours but I have been dealing with a really bad headache. I thought some sleep could help it (it did, a little). I’ve been looking at the models and it does look like the storm will be weaker (but things still could change). I also looked at the satellite pictures, it doesn’t look all that good right now but I’m thinking things will change with that in the next few hours. I do see something on the water vapor loop. If you look at the low, you can see decent amount of a dry slot inside the low. I have seen this in the past. Once that cold front moves through the area, that’s when we will see a good amount of wind. If you read the NWS decision, they said that we would get a second round after the front moved through. I will agree with them on that part because the area were there is no rain, the wind is able to speed up because it doesn’t have to push through the rain. Back in 2014 we had a big wind event (I don’t remember the month but I do remember it being 2014 because I lived in Tigard at the time). I kept telling people at work that we would have some big wind but it had been raining a lot and not a lot of wind. The front came through and the rain stopped. I went outside with a co-worker to have a smoke, it was dead calm and it warmed up. We finished our smoke and went back in. Not more than 5 minutes went by when I looked back outside and the wind picked up, and did it ever pick up. It was like night and day. I think that could happen with this storm. Ken, no problem! I hope your headache is much better. I am looking less at the models right now and more at satellite. I feel that if NWS says 45-55 than I should trust them, but I do feel 40-50 may verify. But who knows? 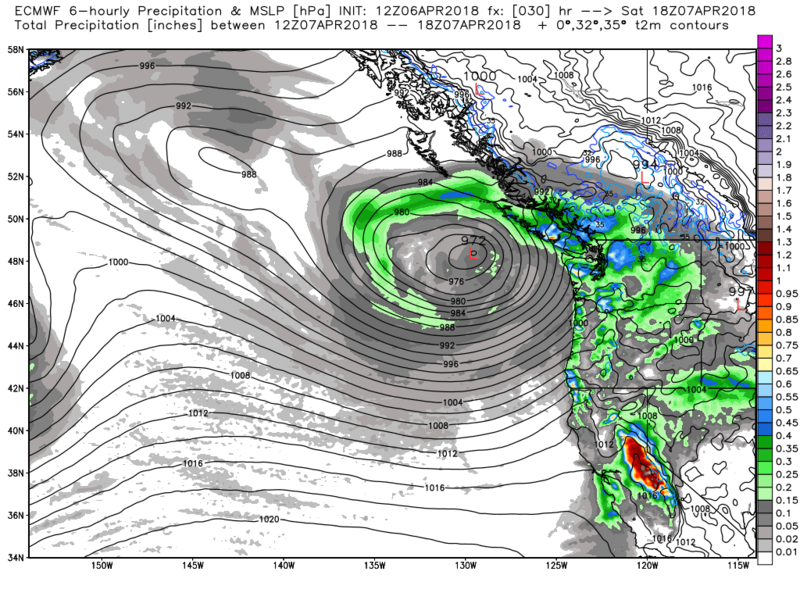 I’m still excited, as the event is far from cancelled- the storm is just a bit weaker. 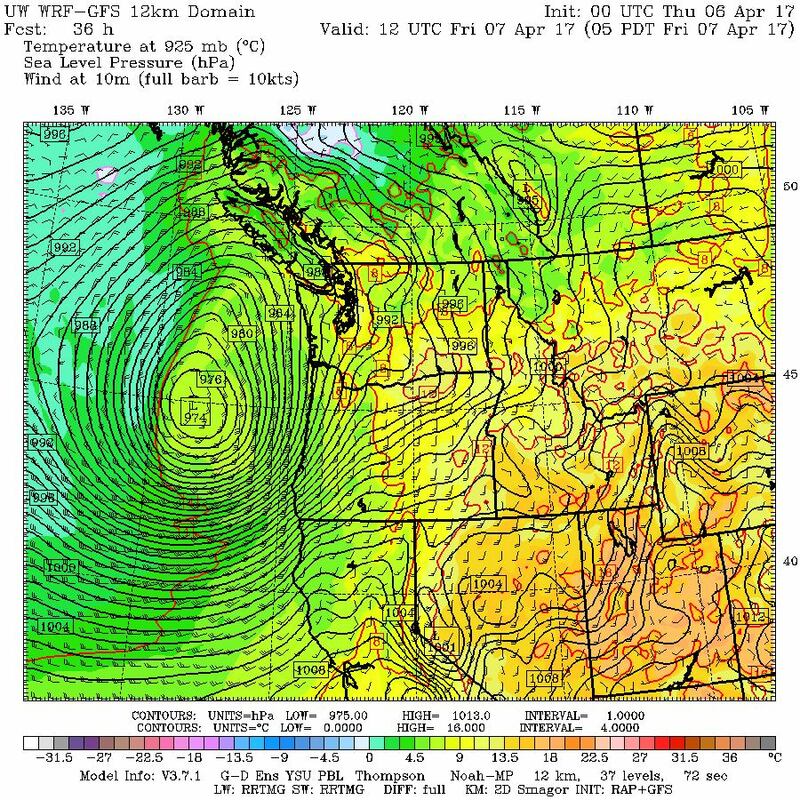 NWS and others confident in the windstorm, as models have not changed. Whew! Perhaps I shouldn’t pay so much attention to Accuweather. Are they accurate? Pressure dropping here, down to about 1000 mb. Cool, the NWS said in the decision the Low was at 986mb and dropping about 1 to 2mb per 2 hours. The leafless trees ought to be less affected by the wind. The NAM has come back a bit stronger. 40-55 seems good. I’m still excited, I think this may do some damage because it’s spring.